Stress is our body’s response to pressures from a situation or a life event. Feeling like you have no control over your finance and that there is nothing you can do about is going to weigh on your mind. One in five adults in the UK feels anxious on a daily basis due to their financial circumstances. Today’s millennial’s are feeling the pressures of University tuition payments, buying their first home and supporting themselves in an expensive world. Isabella Goldie, director of the Mental Health Foundation thinktank, which commissioned the research, said: “Millions of us around the UK are experiencing high levels of stress and it is damaging our health. Stress is one of the great public health challenges of our time, but it is not being taken as seriously as physical health concerns. When you are anxious and stressed out about debt or any other problems happening in your life, it is easy to push it to the back of your mind and not deal with the issue. This isn’t a long-term solution, that worry will be there eating away at you slowly. -Not sleeping correctly, how you interact with friends and family, drink and smoking habits have increased. – Headaches, nausea and indigestion. Long-term you may have sleep and memory issues, your eating habits may change, or you may feel less inclined to exercise. Some research has also linked long-term stress to gastrointestinal conditions like Irritable Bowel Syndrome (IBS), or stomach ulcers as well as conditions like cardiovascular disease. How can you deal with stress?There steps you can take to lower your stress levels. It will vary depending on the person and to what degree stress affects them personally. If you haven’t already identified what is causing your stress, then this is your first. Being able to admit something or someone is stressing you out and acknowledging you need to do something about it is crucial. Ignore the issue is only going to increase your stress levels. 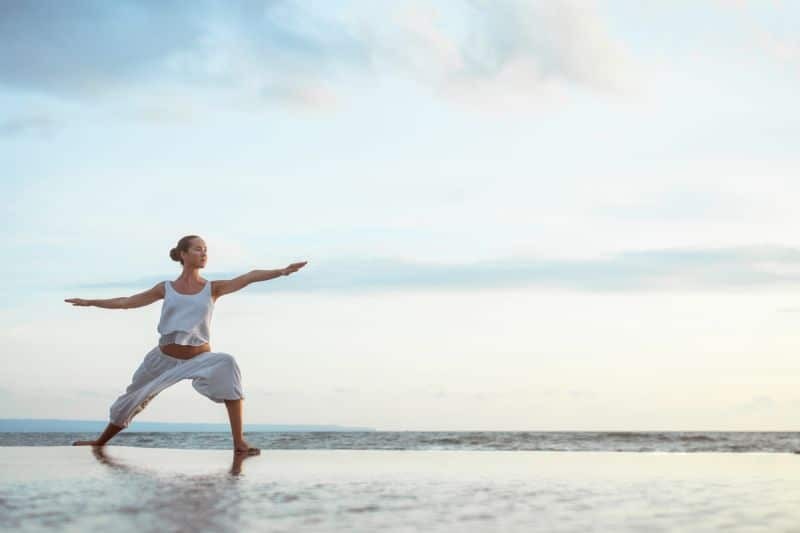 Whether it is taking a walk, doing yoga, going to the gym or playing a sport, having some physical activity in your routine will help clear your mind and help diminish some of the emotional intensity that you’re feeling. Exercise increases your endorphins which triggers positive feelings in your body. Set out goals for yourself, make tangible weekly or monthly goals and make bigger life goals, that will address the more significant issues that are causing you stress. For example, create a weekly goal that you will go to yoga twice a week. A bigger goal would be something that causes anxiety and tension on your life such as debt, make a goal that in 6 months you would have contacted Get Help With Debt and by the end of the year you will be debt free. Mind Tools has great tips on how to set goals and keep track of them. Nowadays people have so much on their plate and are trying to do too much. You need to prioritise and accept that you cannot do everything. You also need to learn to say “no” sometimes. You may fear the conflict that comes with saying no but if you already have so much on your plate, then sometimes you have to say no! You don’t have to be rude or passive to people. They will most likely understand if you explain to them how busy you are at the moment. A key enhancer of stress is negative thoughts. Being negative is only going to make you feel worse about yourself and bring more negativity into your life. 1. When you wake up in the morning, either while you are brushing your teeth, doing your hair, showering, think of 3-5 things you are grateful for and repeat them in your head or out load until you are done your task. Every day try and think of new things you are thankful for. 2. If you are starting to feel down during the day, take a 10-minute walk outside, watch a funny/happy youtube video, listen to an upbeat, happy song that makes you feel good and start your day over from that point. Whatever has happened that day is now in the past. 3. At the end of the day write down 3-5 things you did that day that you are proud of or that went well, made you feel good. This could be the fact you went to the gym, you cooked a recipe you’ve wanted to try, it could be that your boss loved your pitch you had been working on for weeks. Try some of these audio books to help you stay positive and feeling good about life. If you are in debt and want to take your first steps toward financial freedom, call one of our local experts today and book your FREE face-to-face consultation! For a free consultation with our experts, complete our contact form and we’ll get in contact with you at a time that suits you. Get Help With Debt is a trading style of CD Fairfield Capital Ltd. Registered in Northern Ireland. CD Fairfield Capital Ltd is authorised and regulated by the Financial Conduct Authority, FCA regulated under No. 653292 - Company registration number NI610487. Registered office: Negative Equity NI, Unit 2 Channel Wharf, 21 Old Channel Road, Belfast, Co. Antrim, BT3 9DE. Web Design Belfast © 2019. All Rights Reserved. What's The Most You Could Afford to repay on your debts per month? Thank you. You will receive a call from one of our debt advisors in the next 12 hours. Thank you %NAME% for taking the the time to fill in our form.